Peer support & leadership at our LGBTQIA+ addiction & alcohol rehab. Inspire Recovery believes in peer support and leadership among our clients. We are committed to empowering our clients with a lasting sense of self-worth and confidence that will serve them well on their journey through life. Through our art programs we hope to put our clients in touch with interests and passions that have the potential to become lifelong therapeutic pursuits for them. Through different forms of therapy we strive to provide them with important inter-personal and social skills. Through encouraging peer support we seek to promote empathy and compassion among the members of our community that will carry over into how our clients approach society and relationships in their futures. The group therapy approach is advantageous towards this aim because clients are prompted to provide support and advice and discuss experiences they may have in common with other clients. In this way they can be empowered to become a part of the communal healing process that takes place at Inspire Recovery. Everyone has a unique perspective to offer. Taking a look at what our difficulties are from as many different angles as possible is invaluable. This is why we validate useful client input, as long as it is coming from a place of loving concern and care. At Inspire, clients are encouraged to form strong bonds with one another that can be key in their personal recoveries. The Inspire clinical staff looks for exceptional examples of leadership in our clients and recognizes those achievements with the Inspire Leadership Program. Individuals displaying impressive leadership qualities—such as: being an active participant in all of the groups, setting a positive example for others, volunteering to help with cleaning and tidying up around the center, and providing peer support and constructive feedback—are all signs of personal growth and development. Clients showing strong leadership qualities are usually also actively working towards recovery outside of Inspire PHP/IOP hours by being active within their 12-step program and meeting house. Leadership in a recovery community includes: attending meetings regularly, working the steps of recovery with a sponsor and building a network of sober support. 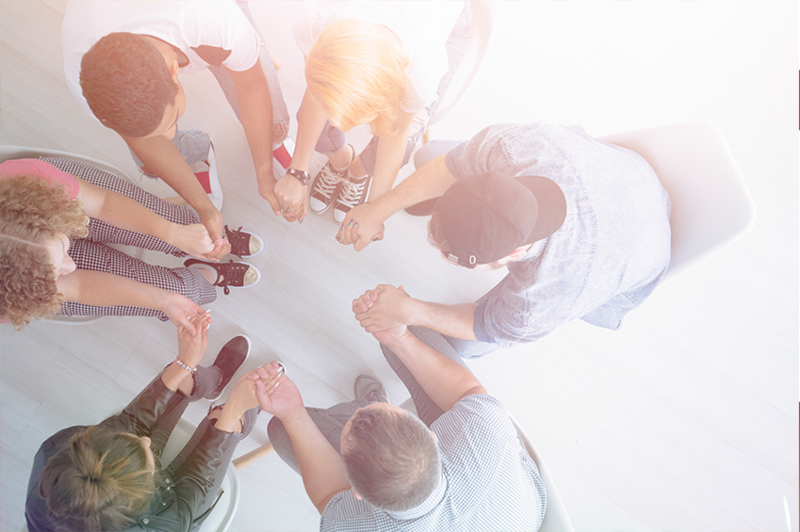 In Alcoholics Anonymous (AA) and Narcotics Anonymous (NA) there is always opportunities to be involved in some form of service in 12-Step programs, such as helping to chair meetings, help set up meetings or helping to run a snack counter at a meeting clubhouse. It is clear that those whose actions reflect leadership traits such as these are motivated for change and they are taking their recovery seriously. There is a common expression that goes, “if nothing changes, nothing changes.” For addicts and alcoholics in recovery, drastic changes in living habits and behavior must be enacted in order to make lasting sobriety possible. Those who are observed to be the most proactive in this process of change are typically the ones who have the most success abstaining from drugs and alcohol. Being a leader in recovery is about being an example for others who are struggling. Newcomers look to folks who are doing the next right thing for themselves and their community. Those who are making the choices that lead to change are sources of inspiration for those who will follow in their footsteps. This is why fellowship, camaraderie, peer support and peer leadership is so encouraged. Inspire clients that are serious about recovery and alumni who have successfully completed the Inspire Recovery program are some of the finest resources in the quest to help others on their journeys to overcome the disease and affliction of addiction and alcoholism. Long-term recovery is dependent on the commitment individuals have to be solid sober supports and peer leaders to those around them.